The average age of farmers in Oregon is nearly 60 years old and steadily rising. 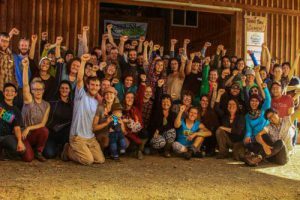 Without a strategy to assist the next generation of family farmers through access to affordable land, training and markets, Oregon stands to lose 25% to 50% of our farms over the next 20 years according to the Oregon Department of Agriculture. 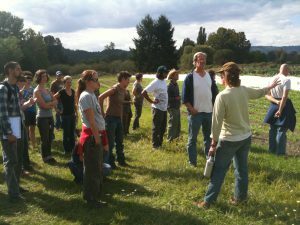 In response, we host Oregon Farm Link (formerly iFarm Oregon), to connect new and beginning farmers with landowners who have land for sale, rent, lease or partnership. In addition to land listings, Oregon Farm Link provides a searchable farm job listings page, and a wide range of educational and financial resource links. Oregon’s Farm Direct Marketing Law – allows farm direct sales of many different products as well as up to $20,000/year in sales of specific home-processed low-hazard foods like pickles, jams, jellies, etc. Read an ODA Fact Sheet on what types of products are covered under the Farm Direct Marketing Law here. Oregon’s Farm Direct Poultry Law – allows farmers to raise, slaughter and sell up to 1000 birds per year for on farm sales directly to end consumers. Read an ODA fact sheet on the Farm Direct Poultry Law here. The Oregon State University Small Farms Program has also published a guide to best practices for open air poultry slaughter aimed at helping producers who operate under this law. Oregon’s Beginning and Expanding Farm Loan Program (aka Aggie Bonds) – provides lower-interest lending for qualifying beginning farmers and ranchers for land and equipment purchases. Read a fact sheet and find application materials for the Aggie Bonds program here. Visit and follow the Farm On Facebook Page. Join the Friends of Family Farmers email list for monthly updates, calendar items, events and action alerts. Sign up for the Farm On! email list for periodic updates on beginning farmer events and activities.